Home repairs are often never-ending, and just as one item gets crossed off the list of to-do’s, three more are somehow added on. Maintaining a home isn’t all too bad if the projects are small and able to be completed easily, but there are some tasks that are better left for professionals to tackle. One such area is your home’s roof, which can deteriorate over time and could be in need of roof repairs. How does one know if their Orlando, Naples, or Panama City roof is in need of some work? Continue reading to find out! An obvious and common sign of a roof that is in need of professional repair is the loss or visible damage to individual shingles or tiles. High winds, heavy rains, severe storms, and plenty of other extremes can cause shingles or tiles to become damaged or loose and break away from your roof. This is an issue that needs to be handled with urgency, as when these roofing materials are damaged, the risk of water seeping into the underlayment of your roof and causing wood rot, mold growth, and other serious water damages are increased. Catch these issues early and have a roofing company handle the repairs to avoid further damage. If you have to put scurry to find buckets to catch the drips every time it rains, it’s a pretty obvious sign that your roof is leaking. Before reaching your ceiling, leaks will start out in your attic. If you suspect leaking and are up to the task, look inside your attic to check for water damage, such as dark or damp spots, rotten wood, or seeing any daylight through your roof. Letting leaks go unnoticed or without repair will eventually reach your ceiling, causing water marks or peeling paint on the ceiling or walls. Interior water damage is expensive to repair and can also lead to toxic mold growth, so it’s important to catch leaks in their early stages. In humid climates like Florida, algae can begin to grow and accumulate on your roof during the hottest months of the year. Both green moss and black algae. are usually the outcomes of rain, and hot days. Look for dark green or black streaks on your roof to identify this issue. Algae loves living on your roof, where there is plenty of heat and moisture. Hire a professional to help carefully clean off the algae from your roof — if this isn’t addressed, it can spread and eventually break down the integrity of your roof. The Florida storms can absolutely take a toll on your roof, but unlike other types of harsh weather, hail and strong winds do the most damage. During a hailstorm, shingle roofing can suffer dents and punctures. High speed winds can lift shingles and tiles and allow debris to fly into your roof leaving holes and the roof underlayment exposed. If your roof suffered some damage during a storm, it’s important to call a professional roofing company to come and take a look at the damages. For homeowners with shingle roofing, noticing granules in the gutters or irregular or darker shades on some portions of the roof is a sign that indicates that the granules have worn away and that some of the shingles are nearing the end of their expected life span and may need to be replaced. 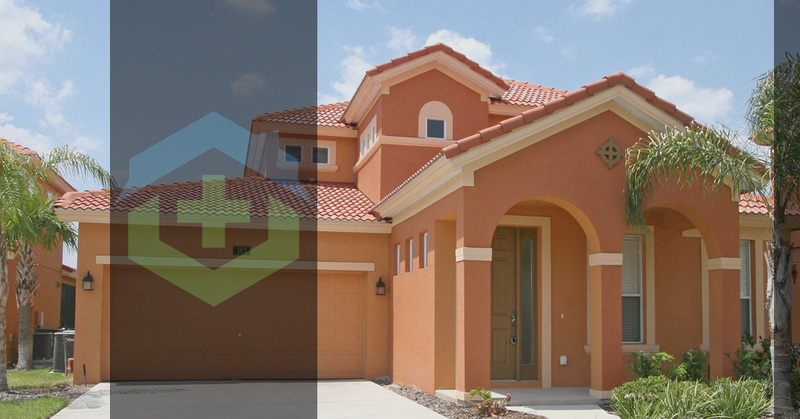 If you notice any of the five signs above or suspect that you are in need of roof repair in Panama City, Orlando, or Naples, Florida, you can rely on the team At Roof Positive. With 25 years of experience working on all types of roofs, we have the know-how needed to quickly identify problems and make the necessary roofing repairs. To request an estimate, contact us today!